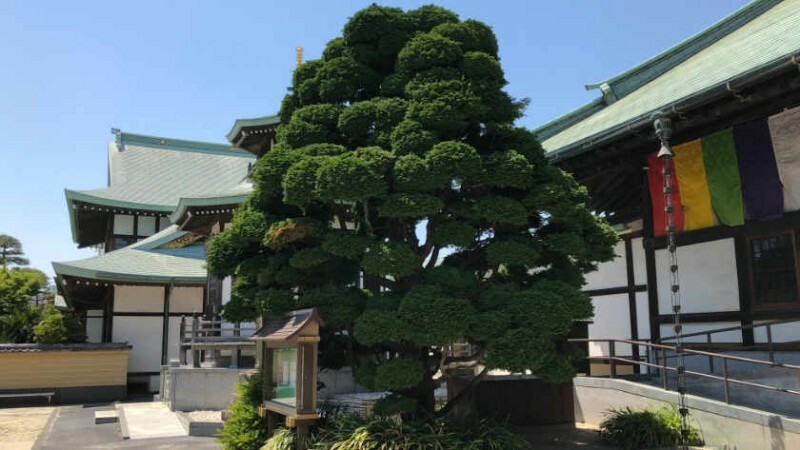 Zenyoji Temple is a small temple in Tokyo that is home to Yogo no Matsu, Japan’s widest pine tree – and it is incredibly wheelchair accessible. 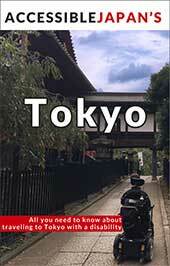 Zenyoji is a Shingon Buddhist temple which was founded in 1527 and located in Tokyo’s Edogawa ward. 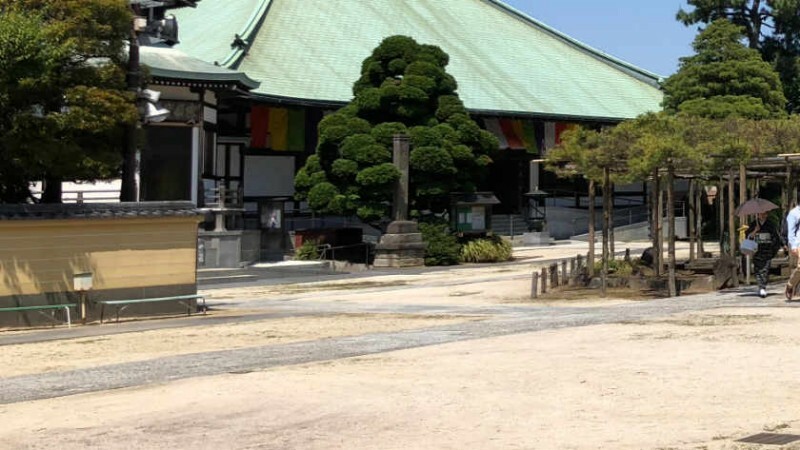 The main hall, is dedicated to Jizo Bosatsu, a Buddhist deity of mercy, and was constructed in 1845. 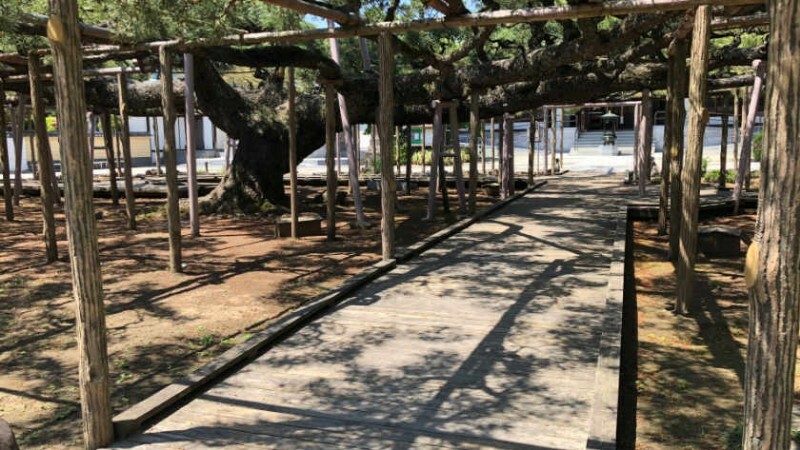 A small pathway lined by 88 small stone shrines which contain soil from the corresponding temple of the 88 temple pilgrimage in Shikoku. 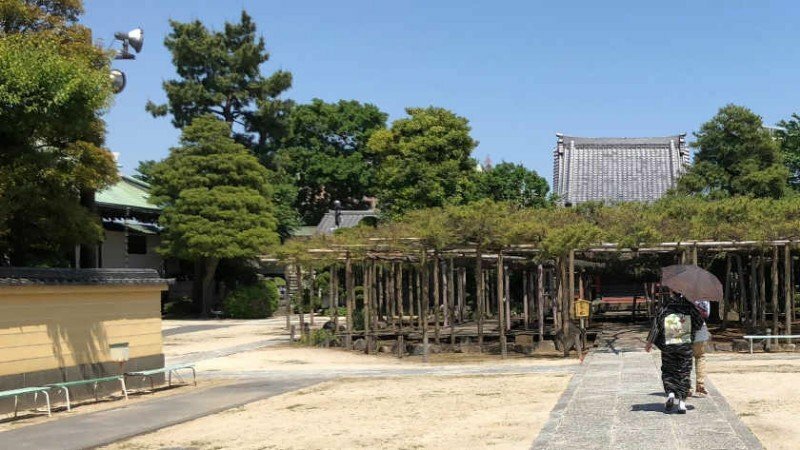 The temple is mainly known for being the home of Yogo no Matsu pine tree which is a registered as a natural monument. 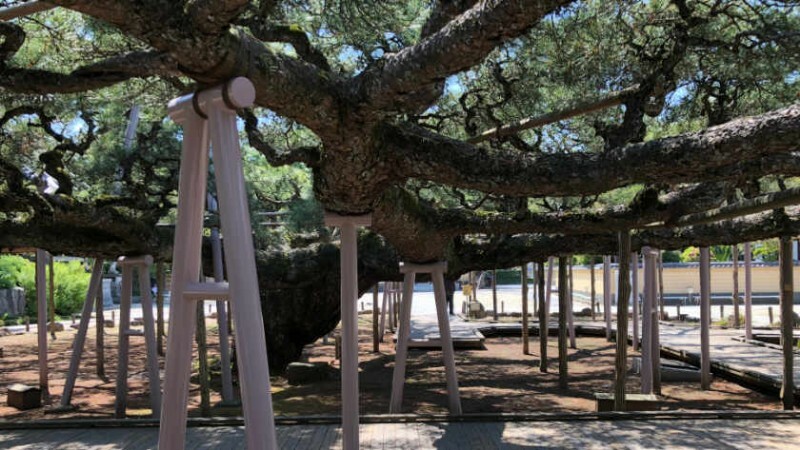 Not only does the pine tree boast the widest branches in in Japan, but at over 600 years old it is also considered the oldest pine tree in Japan. 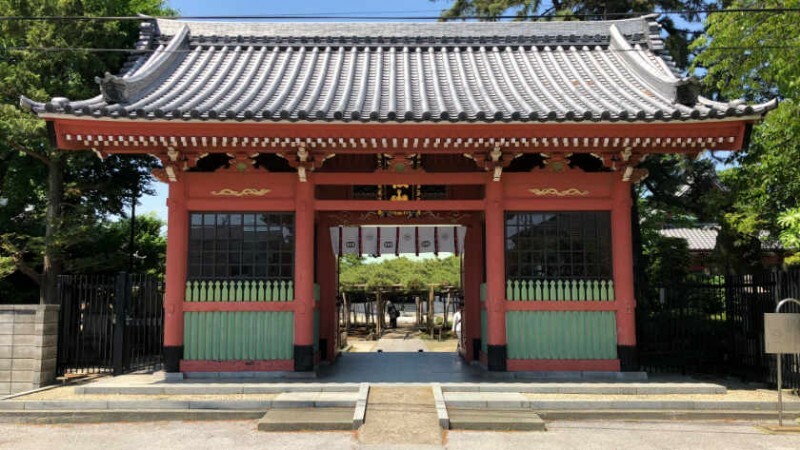 The temple is a little off the beaten track, requiring visitors to take a bus from Koiwa Station and getting off at Edogawa Byoin (Edogawa Hospital) bus stop. 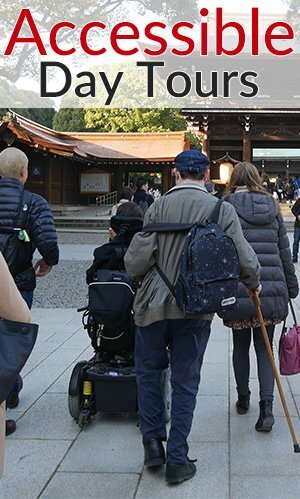 Zenyoji has put an incredible amount of effort into making the temple and its buildings accessible. Their are two entrances to the temple grounds. 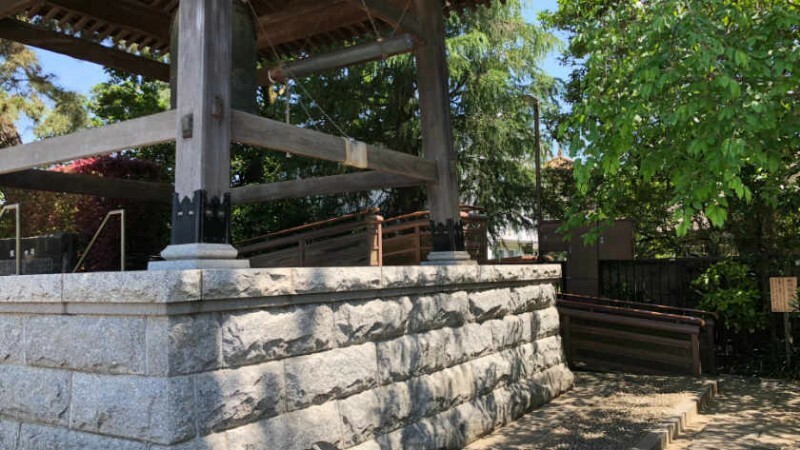 Though the Fudomon gate has stairs, it is easy to enter via the adjacent parking lot. The Niomon gate has a ramp. 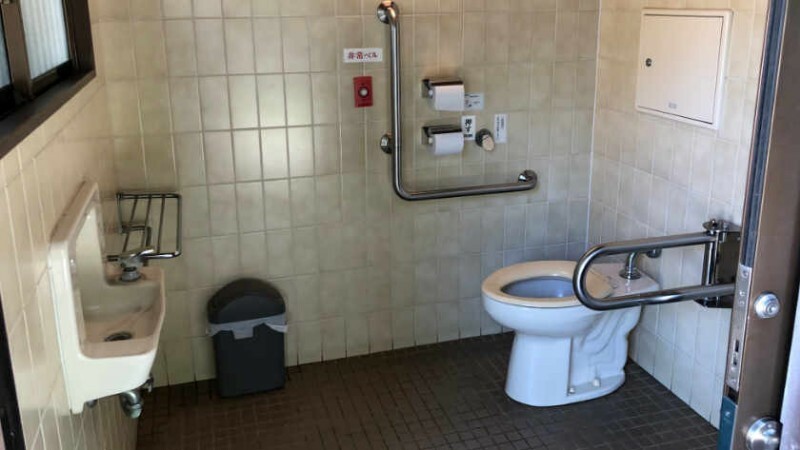 Nearly all of the buildings have ramps. 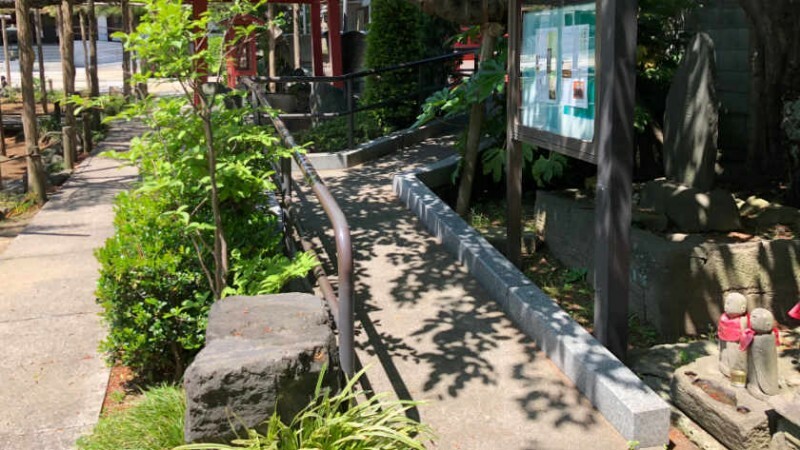 The path under Yogo no Matsu is fully accessible. The pathways are dirt along with a mix of flagstone and asphalt paths. There are benches to rest on, but no tactile blocks. 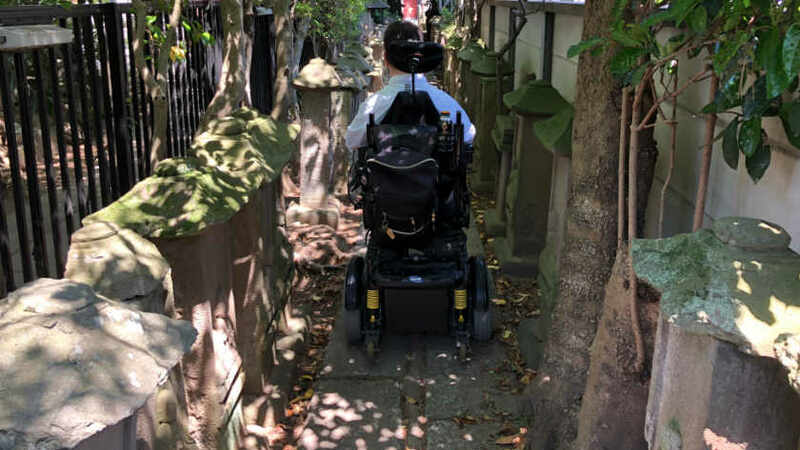 The Shikoku path is bumpy but a wheelchair can travel down it. 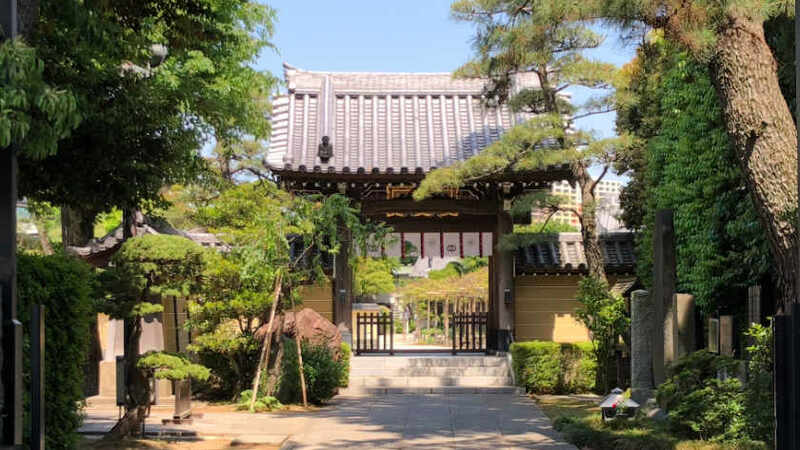 Though Zenyoji is a bit more difficult to get to than most other attractions in Tokyo, for repeat Tokyo visitors and those interested in horticulture, visiting this temple can make for a nice break from the bustle of Tokyo. 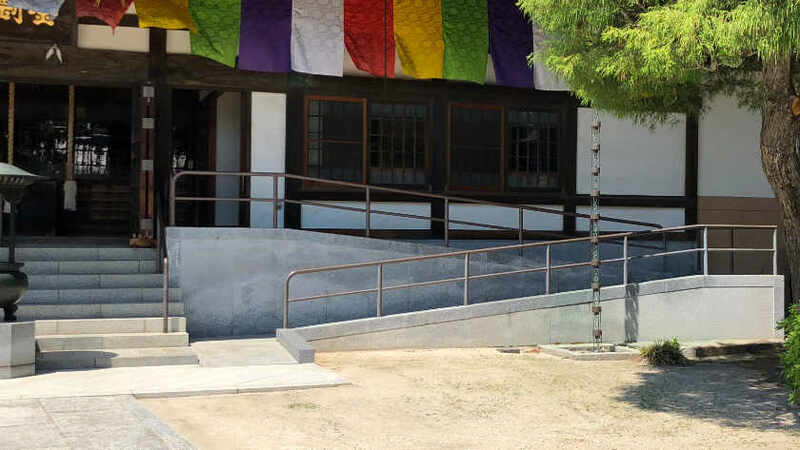 It is exciting to see the efforts the temple has put into making the grounds accessible to all. Leave your questions or comments about Zenyoji here!